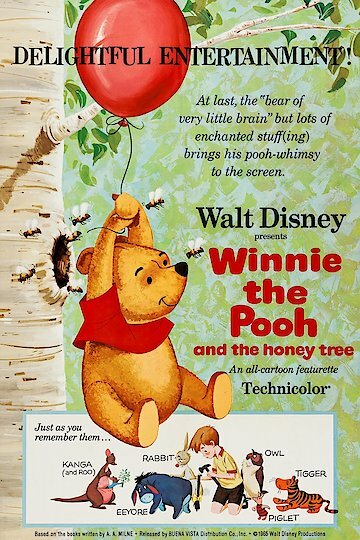 Winnie the Pooh and the Honey Tree is the first film Disney made about the characters from A.A. Milne's beloved children's stories. This adventure involves Pooh Bear's insatiable appetite for honey and the disasters it causes, including being chased by angry bees after trying to steal their honey from the eponymous honey tree, growing too fat from eating too much and worst of all, becoming stuck in Rabbit's door after having lunch. The bulk of the featurette follows the characters as they try to figure out how to remove Pooh from the door and how he deals with the situation.